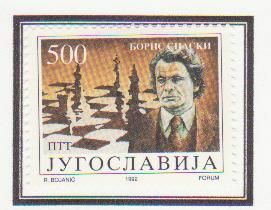 There is even a topical study group for chess stamps. 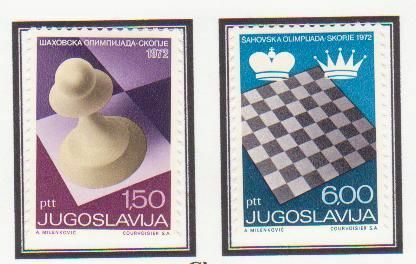 This stamp commemorates the unoffical rematch, at Sveti Stefan and Beograd, with Bobby Fischer, 20 years after the World Championship. This was the last (public) match that Fischer ever played. I used to have the matching stamp of Fischer but it has gone into hiding and refuses to let people see it! The first recorded chess game in Malta was in 1880. Leone Benjacar wrote chess articles for the Daily Malta Chronicle in 1880 and created the Malta Chess Club. The Maltese Chess Association was formed in 1923. The first official chess championship occurred in Malta in 1925, won by Oscar Serracino-Inglott. Malta joined FIDE in 1959 and played in the Chess Olympiad in 1960. The 24th Chess Olympiad in 1980 was held in La Valletta, Malta. 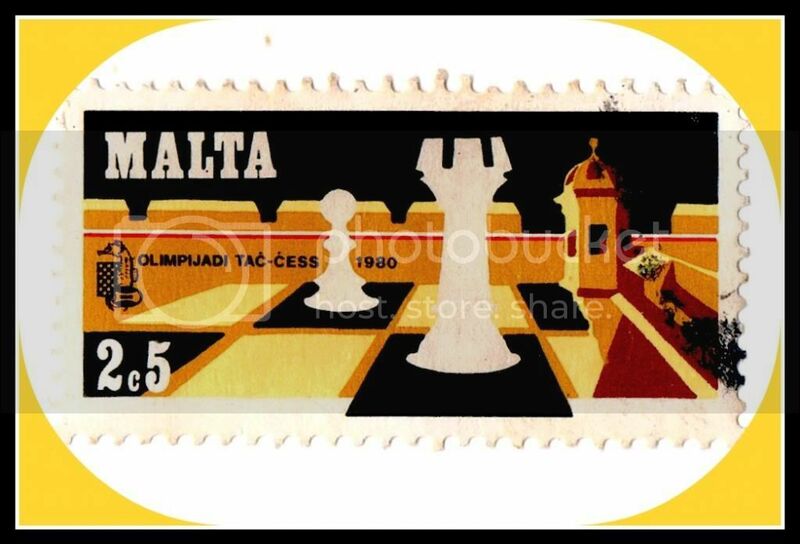 Malta played in their first chess olympiad in 1960, then they played from 1970 to 1974, then from 1980 to 2006. 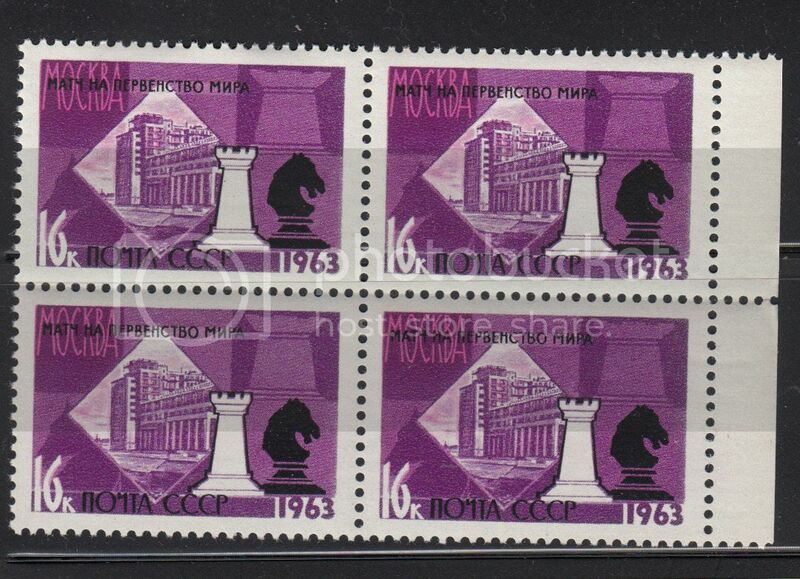 A stamp issued in 1963 by the USSR, from a set to commemorate that year's world chess championship. 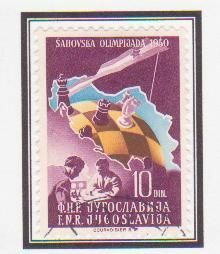 A 1968 Swiss stamp issued for the 18th Chess Olympiad in Lugano. 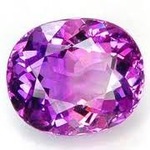 The Olympiad was won by the Russian team, led by Petrosian. 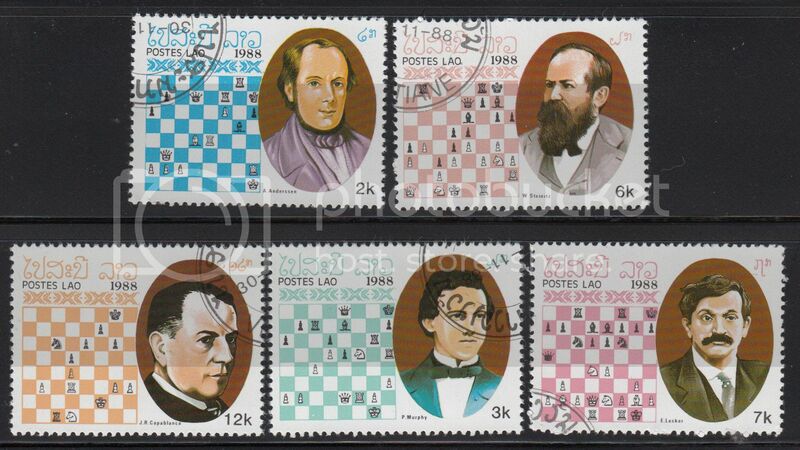 A 1972 Iceland stamp issued for the world chess championship of that year. In this Bobby Fischer of the USA defeated Boris Spassky of the USSR in Reykjavik in what some chess aficionados regard as one of the greatest chess contests of the last few decades. Came across this one today. 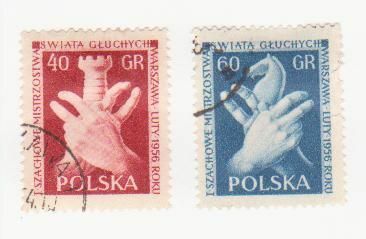 It was one of two that was issued on October 19, 1976. 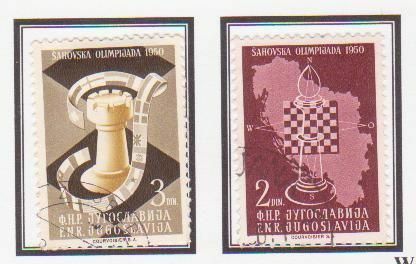 Issued for the 22nd Men's and 7th Women's Chess Olympiad, Haifa, October 24 - November 11, 1976. 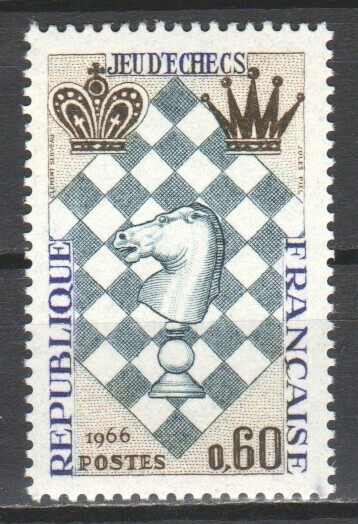 A 1966 French stamp issued for an international festival of chess in Le Havre.